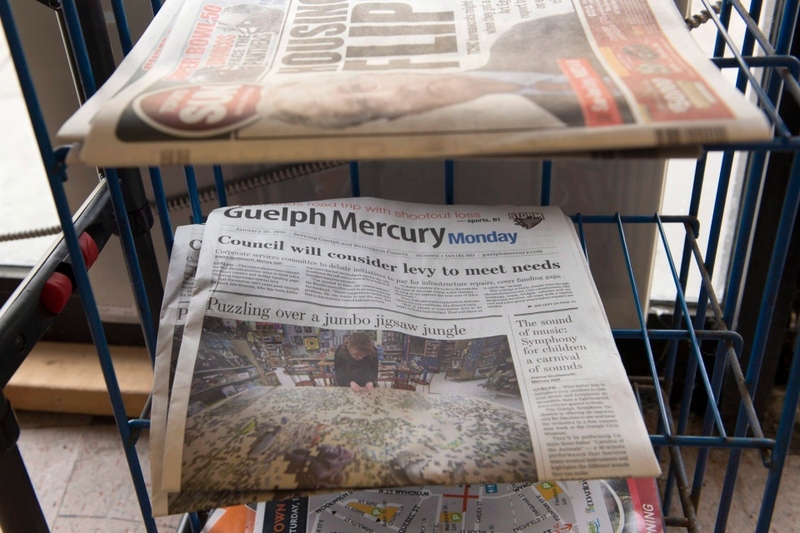 The Guelph Mercury newspaper will publish its final edition on Friday. In a press release issued Monday, publisher Donna Luelo said that ending the newspaper was “the only viable option” given changes to the media landscape. “The decision was not made lightly, but the decline of classified and national advertising in recent years has made it impossible for the printed copy of the daily newspaper to remain profitable,” she said. The end to publication will affect a total of 26 jobs – 23 of them full-time, and the remainder part-time. 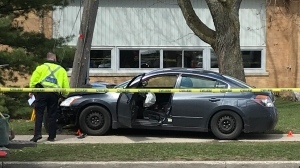 Some of those employees may be able to find jobs elsewhere with the newspaper’s owners, the Metroland Media Group, the release said. 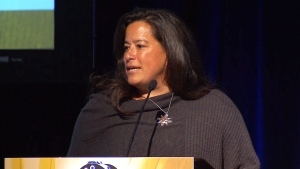 The atmosphere around the Mercury after the announcement was “funereal to say the least,” longtime reporter Rob O’Flanagan told CTV News. “People are really hurt and busted up by this news,” he said. At The Bookshelf, a theatre and book store in downtown Guelph, bookseller Ken Hood said sales of the paper had seemed to be holding steady in recent years. “The damage is incalculable, because really that newspaper is where we spoke to each other,” he said in an interview. 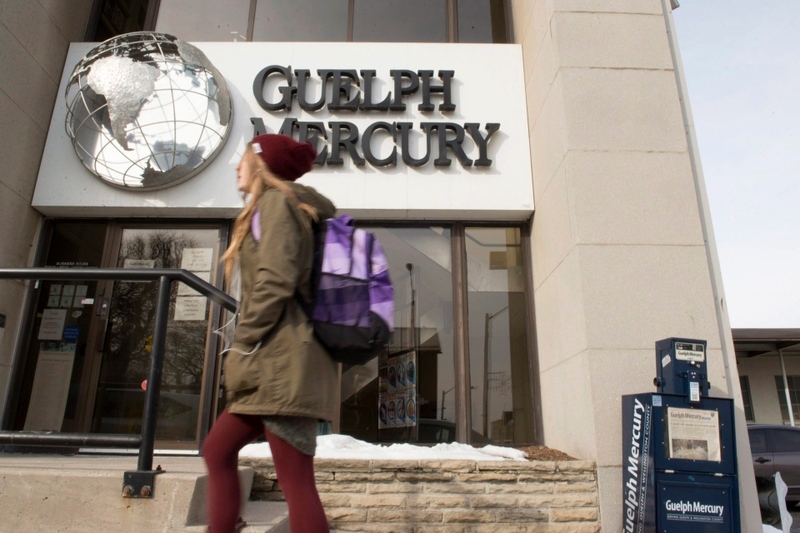 According to Bruce Gillespie, a professor of digital media and journalism at Wilfrid Laurier University, it’s that loss of reporting on events directly affecting Guelph that residents will notice most without the Mercury. “I think people will notice that there’s just less information about their community out there,” Gillespie said. O’Flanagan agreed with that view, questioning who will be reporting on civic issues with the loss of the Mercury’s eight editorial staff. “We definitely lose an aspect, an element of public accountability,” he said. Gillespie pointed to Monday’s announcement as one example of a bigger trend playing out in communities across the country as smaller, local media outlets have been purchased by bigger companies. “There’s a real poverty of local news in Canada, and Guelph is no different,” he said. Publication of the Guelph and District Homes real estate guide and the Guelph Life lifestyle magazine will not be affected by Monday’s announcement. Metroland also publishes the Guelph Tribune newspaper twice a week. The Tribune will not be affected by the closure of the Mercury, Luelo said. The Guelph Mercury was founded in 1867.